Whether you want to transform your basement into your personal sanctuary or just want it to serve as secondary living quarters, basement finishing is your solution. Unfinished basements, or partially finished basements — we refinish them all. Unfortunately, this home addition isn’t a weekend DIY project — it requires a lot of strategic planning. Why Choose Still Contractors, LLC? Proper basement finishing requires finesse and industry know-how — all attributes that our team has. As you begin your basement finishing, there are a number of factors to consider. For example, is your foundation solid? Is your basement fully waterproofed? Do you need a building permit before you begin your basement-finishing project? The list of preliminary considerations goes on. Because of this, your project requires an expert like Still Contractors, LLC of Kansas City. We’ll help you organize everything before your project begins and be sure to keep everything in order during the entire process. There is more to basement finishing than just screws and bolts. Our professionals have the skills necessary to keep the vapor out of your basement and trap the warmth inside. If you need to install plumbing and electrical utilities in your ceiling, which is common in basement finishing, we can help. 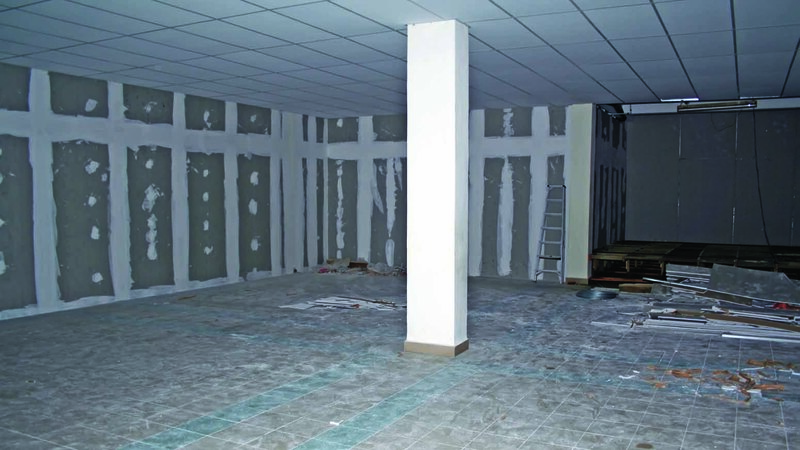 Suspended ceiling panels or access panels can be installed by our experienced team. Every step of the way, we will go above and beyond to ensure that your project needs are satisfied to the best of our ability. Ready to bring your basement finishing dreams to life? Look no further than Still Contractors, LLC — we have the know-how and finesse that your project demands. For information about our home improvement services, call (913) 254-3314. Proudly serving the Olathe and Greater Kansas City residential communities.